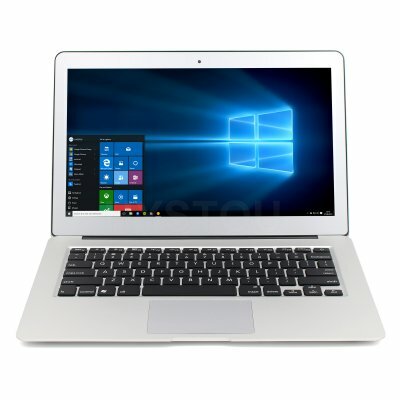 Successfully Added HYSTOU FLP01 Laptop - Fanless Design, Universal OS Support, Ultra-Slim Aluminum Body, Intel Core i5-5200, 7000mAh, 4GB DDR3L RAM to your Shopping Cart. If you’re looking for an ultra-thin and lightweight laptop that gets the job done on the go, the HYSTOU FLP01 is perfect for you. With its sleek 18mm thin body, this laptop PC can be easily carried around anywhere you go. It comes with a crisp 13.3-Inch display that treats you to stunning 1080p Full-HD resolutions. This makes your laptop great for work related tasks as well as for watching movies and playing games. The integrated HD5500 graphics unit supports media with a resolution up to 4K. Thanks to this, you’ll be able to enjoy the latest Ultra-HD films and series in stunning resolution no matter where you’re at. Packed within the slim body of this laptop lies a 5th generation Intel Core CPU that has been clocked at 2.7GHz. Along with the laptop’s 4GB DDR3L RAM, it delivers an outstanding performance. You’ll be able to watch movies, play games, and browse the web without ever dropping a frame. By treating you to 128GB internal storage, there will be plenty of space for you to fill up with your favorite media. The laptop furthermore packs a whopping 7000mAh battery for an unbelievable 7 hours of continuous usage time. This will get you through a days’ worth of work and entertainment without needing to worry about battery life. With its full aluminum alloy case, the laptop has a durable and premium looking design. It features a fanless design thanks to which it is extremely quiet when in use. With its lit up keyboard, it allows you to work efficiently at both day and night. The laptop features a universal design that works perfectly with all popular operating systems including Windows and Linux. Thanks to this, it is sure to treat you to a smooth user experience no matter for what purpose you’ll be using this beauty. This laptop comes with a 12 months warranty, brought to you by the leader in electronic devices as well as wholesale laptop PCs..